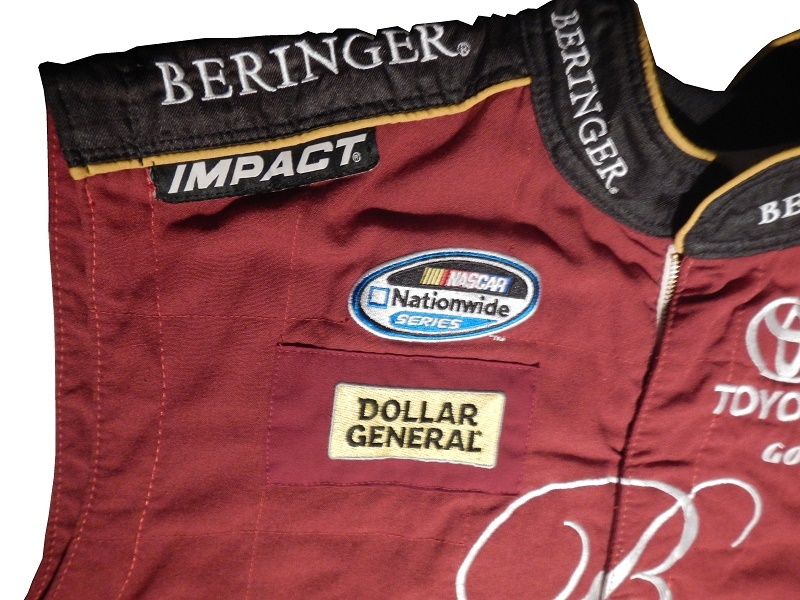 Our season finale will be this Shea Holbrook driver suit. Jamie McMurray #1 Cessna/McDonald’s Patriotic Chevy SS-The switching from white to red is an improvement, and actually takes this scheme from a B+ to an A-. Brad Keselowski #2 Miller Lite Patriotic Ford Fusion-The pointless addition of “patriotic” element take one of the best schemes, and an A+ scheme down to a C-. Austin Dillon #3 Cheerios/Lee’s East Rowan Cafe Chevy SS-Same as Cheerios, but with Lee’s East Rowan Cafe on quarter panels, same A+ grade. Danica Patrick #10 Nature’s Bakery Patriotic Chevy SS-Camo is not a good look on race cars, and normally, I would deduct one letter grade from the grade, but this scheme is so bad, I’m just going to give it an F.
Ricky Stenhouse Jr. #17 Fastenal Patriotic Ford Fusion-The trimming of the stripes on the sides look good, and the addition of the red around the star look really good. Fastenal took a B+ scheme up to an A-. 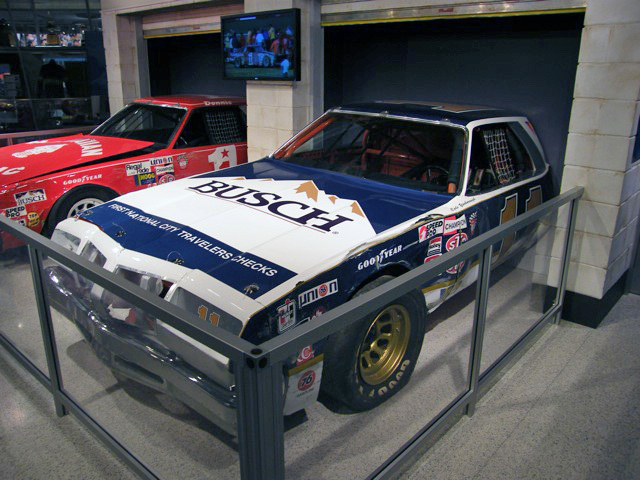 Chase Elliott #24 NAPA Throwback Chevy SS-While I like the idea of the vintage NAPA logo, could you commit to it, and add them to the quarter panel? It’s not a bad scheme, but not adding it to the quarter panel is not a great move. I’ll give it a B- since the color and design schemes do work here. The Vest Project continues, with a slight change of plans this week. 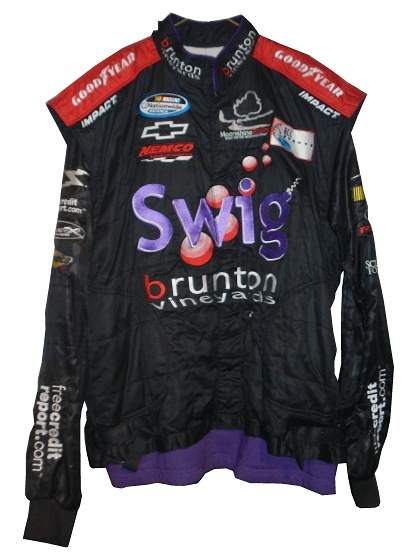 The three-piece firesuit contains a vest, undershirt, and pair of pants. 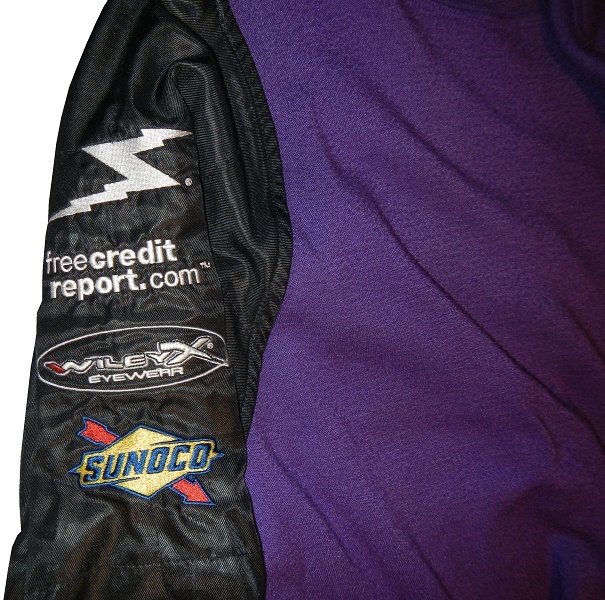 We’ve been looking at vests, now let’s take a look at an undershirt from Team Rensi’s 2007 Free Credit Report Ford team, driven by David Gilliland, Richard Johns and Kenny Wallace. 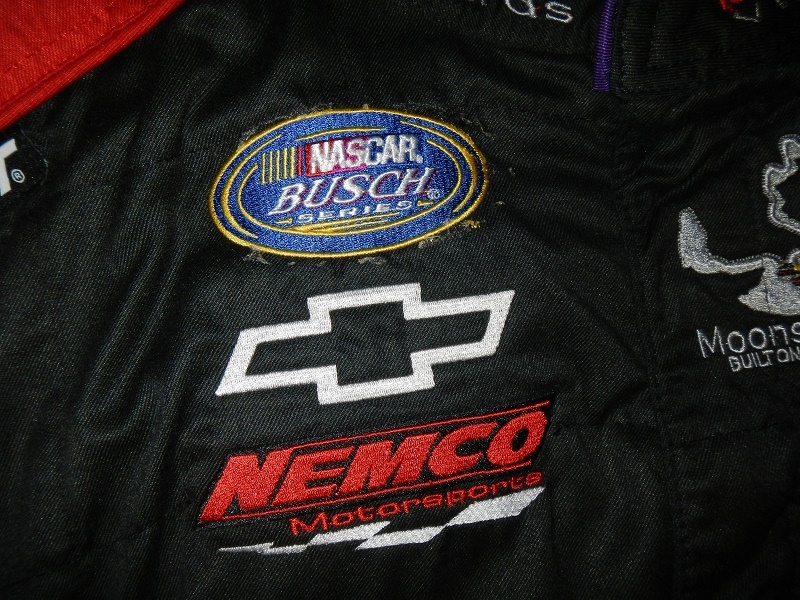 From 1999 to 2010, Team Rensi Motorsports competed in the Xfinity Series. 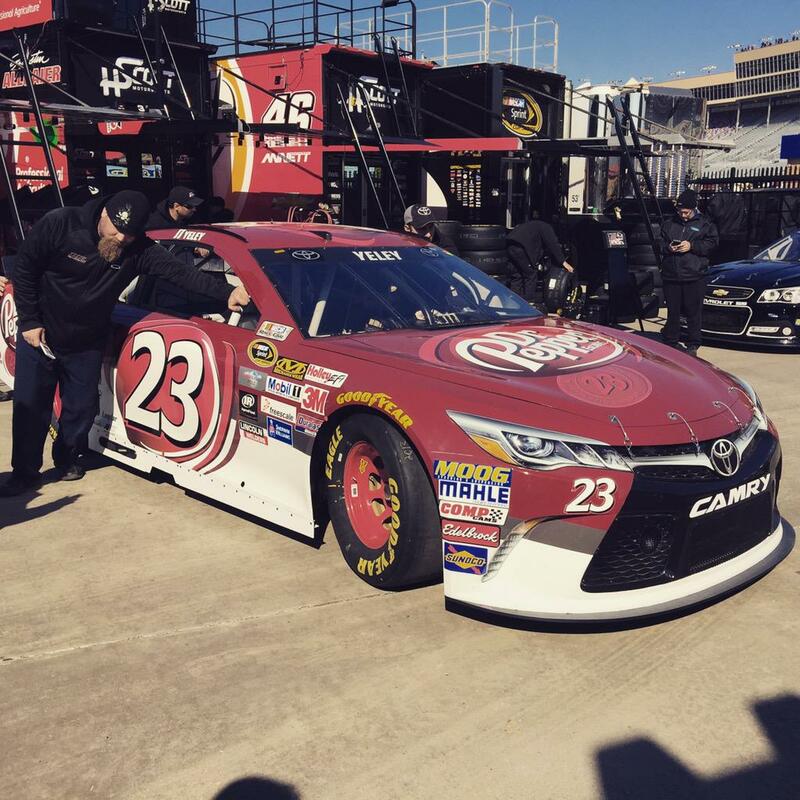 Founded by former McDonald’s CEO Ed Rensi and a few investors, Team Rensi was a full-time fixture in the Xfinity Series, and has also competed in the Sprint Cup and Truck Series. 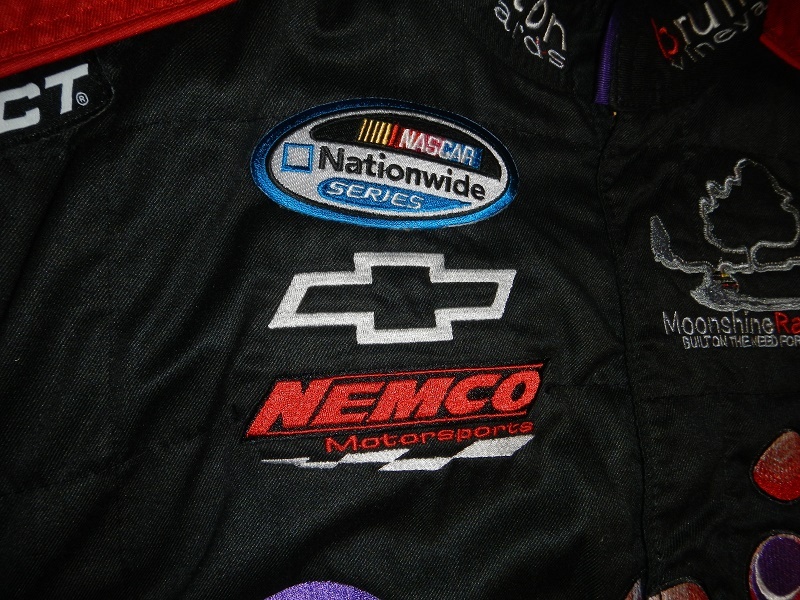 The team has 5 wins, one in 2002, and four in 2003, all with Bobby Hamilton Jr. Other drivers for the team include Kenny Wallace, Ashton Lewis, Mike McLaughlin, Jay Sauter, Ricky Craven, Boris Said, Eric McClure, Richard Johns, and David Gilliland. 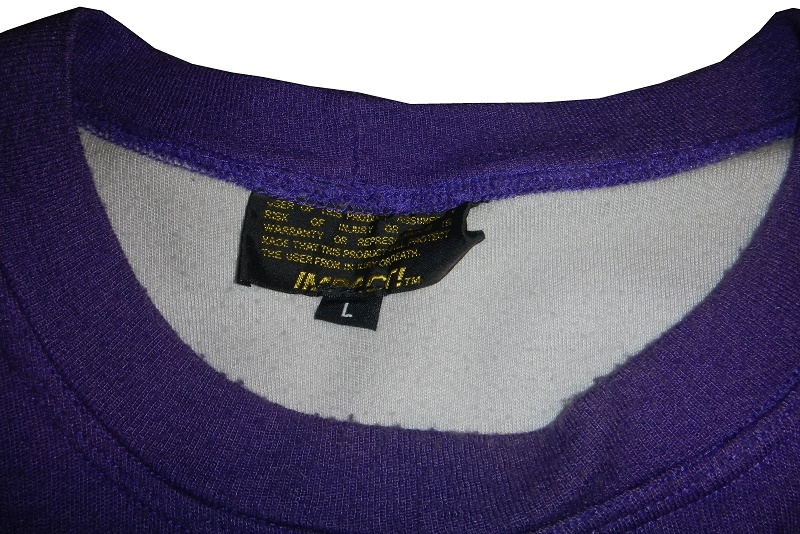 The collar has a size tag and a warranty label sewn into the cowl. 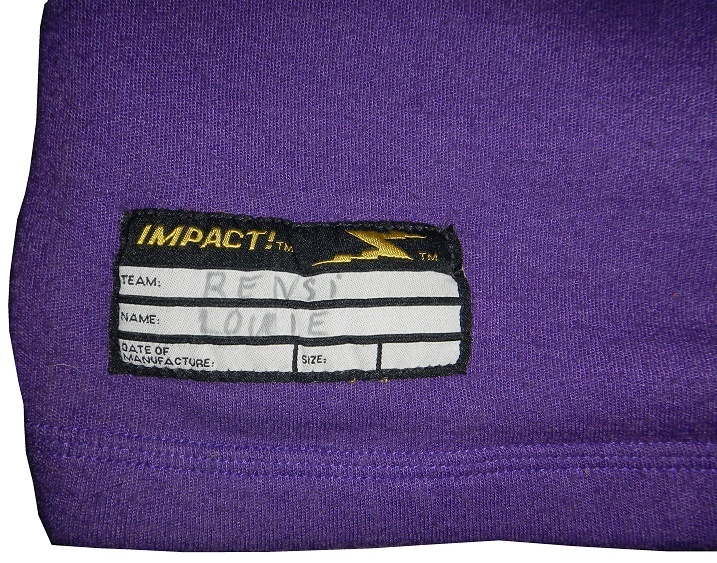 The size is L. At the bottom-right corner is an identification tag with RENSI written in for team and LOUIE written in for NAME. 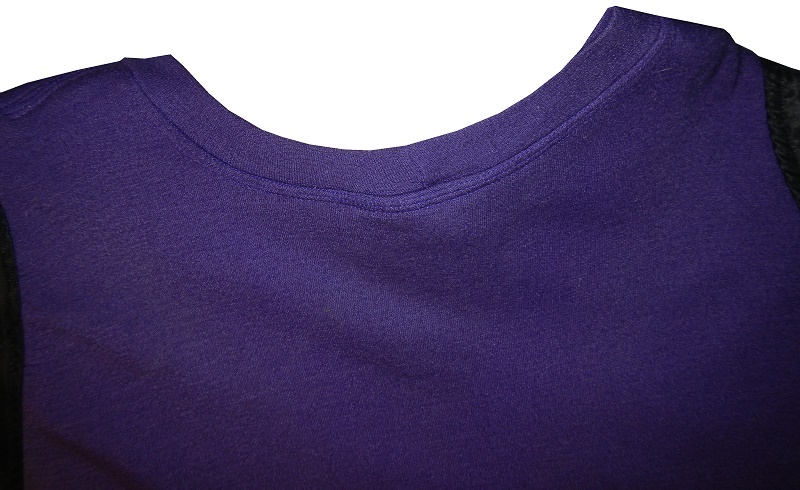 Being an undershirt, the shoulders are unadorned, and the sleeves, which are the same material as the outer design of a suit. 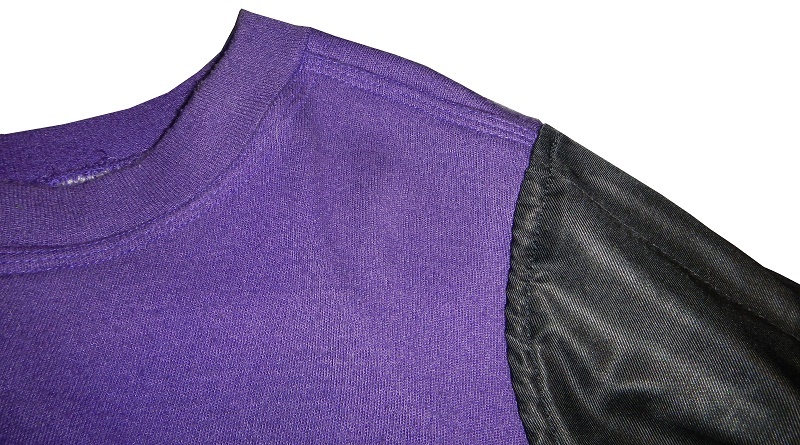 The shoulders show the transition between the two materials. 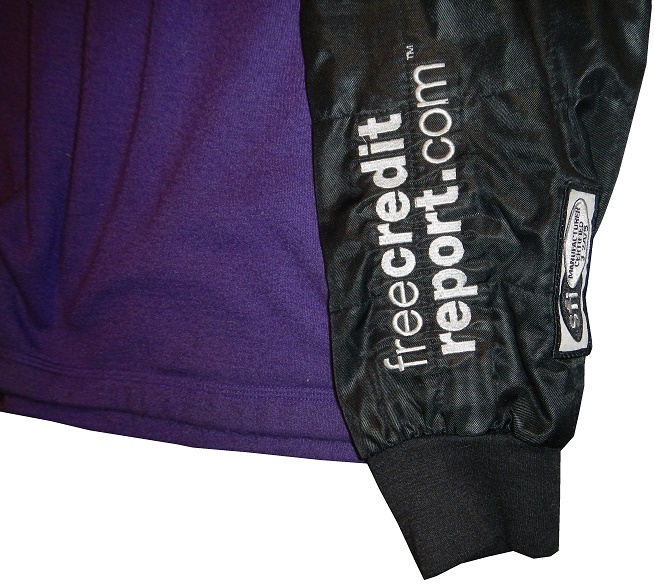 The right sleeve has IMPACT Z, FREE CREDIT REPORT, WILEY X, and SUNOCO logos embroidered in the upper sleeve, and a FREE CREDIT REPORT.COM logo embroidered at the end of the sleeve in television position. There is a white stain on the reverse end. 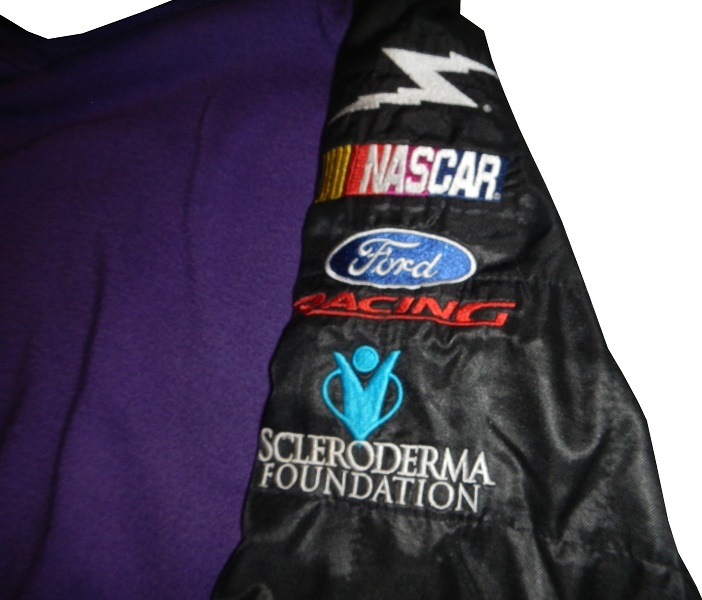 The left sleeve has IMPACT Z, NASCAR, FORD, and SCLERODERMA FOUNDATION logos embroidered in the upper sleeve, and a FREE CREDIT REPORT.COM logo embroidered at the end of the sleeve in television position. 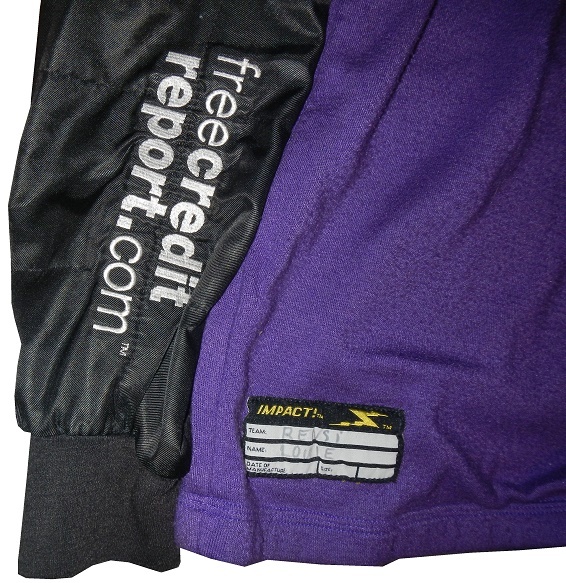 The back of the shirt shows some light wear, and is in the same blue material as the front. 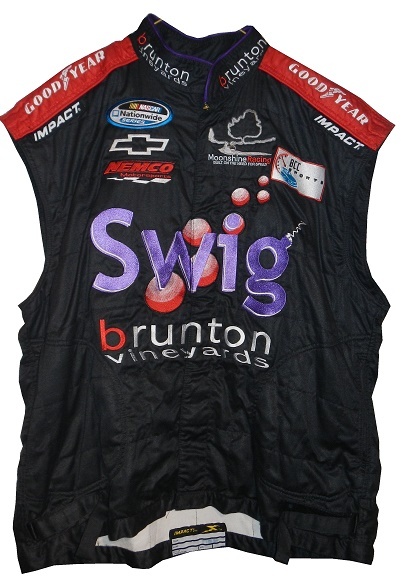 The vest is worn over the shirt, and looks like this, paired with the Joe Nemecheck Swig vest, discussed in previous articles. As I looked at the blue material, I noticed a few things. 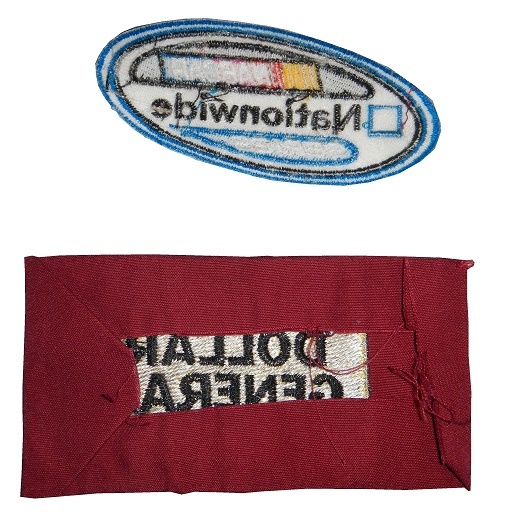 The softer blue material would seem more comfortable than the outer material, and the blue material is Nomex. But it wouldn’t make a good material for the outer design. 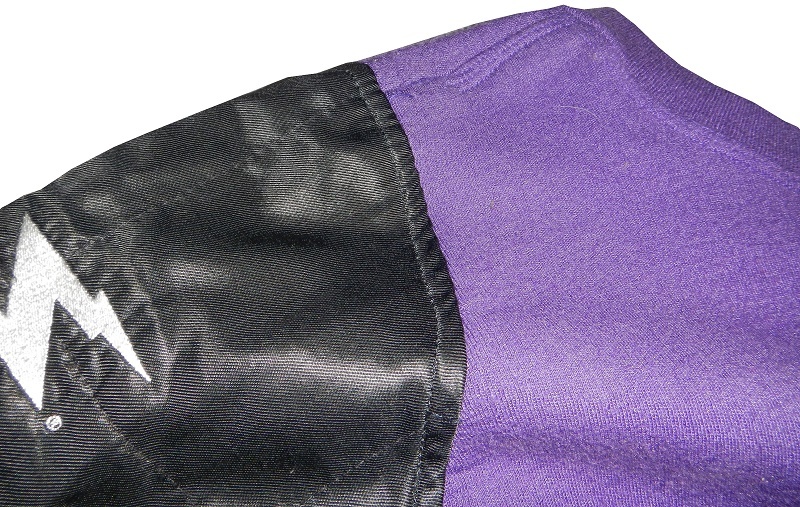 There is piling on collar of the blue material. 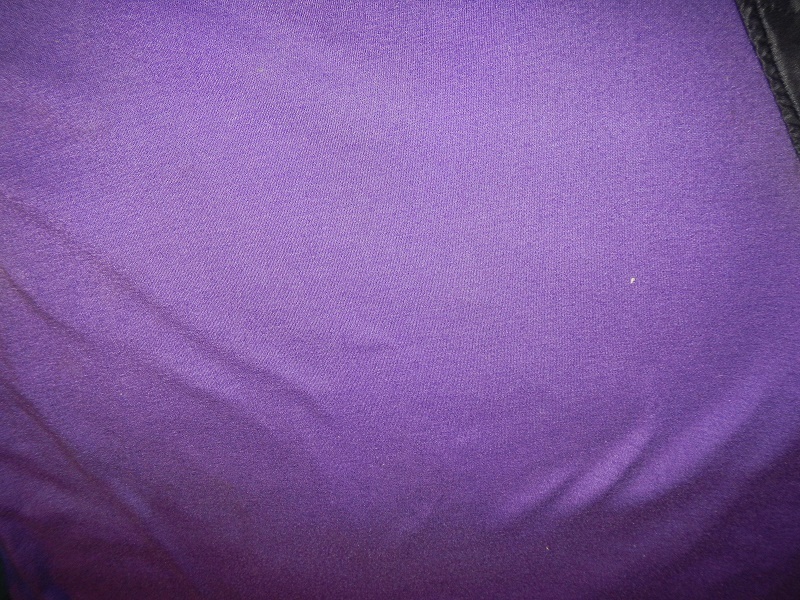 Piling is when the cloth has little balls over it, and these would certainly show up in photos of the suit. 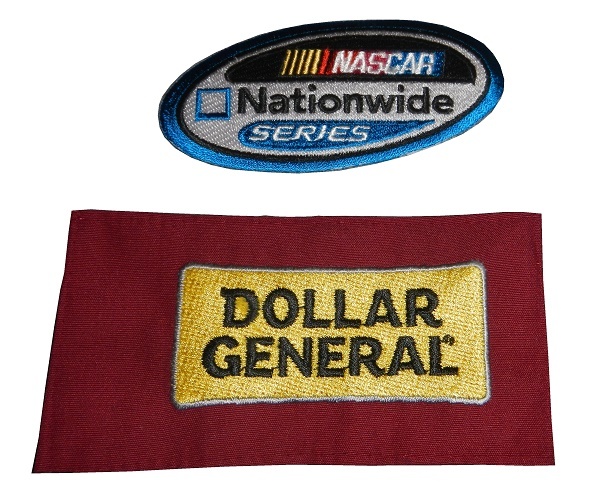 That’s why the outer material is made of a more durable version of Nomex, which looks better on camera. 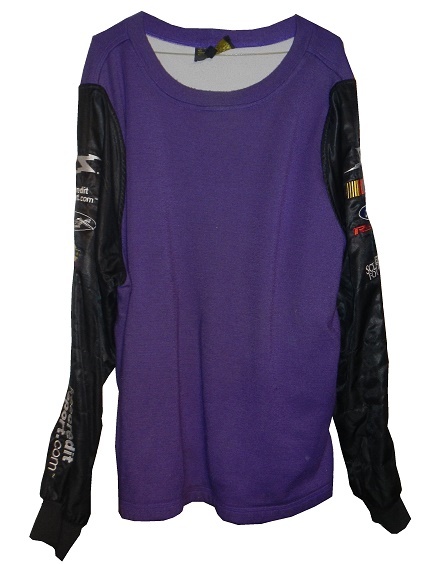 This also seems a bit more breathable than older versions of Nomex that I have seen. I know I’ve kept focusing on the same two vests, and I’m getting tired of those two. 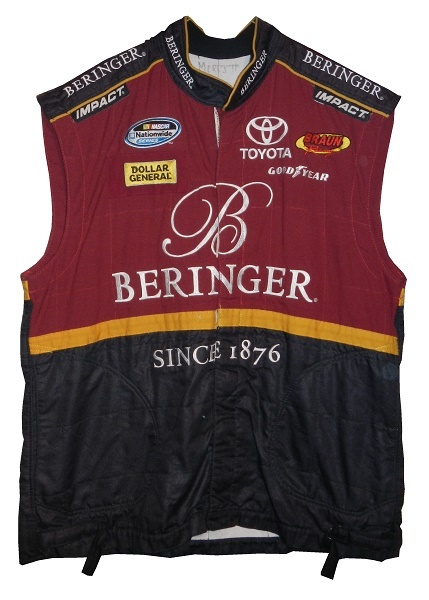 I’m going to move on from the wine-sponsored vests, and next week, start focusing on a vest with a more traditional sponsor. Davey Allison’s first all-black Texaco Havoline Ford Thunderbird waits to get going in 1990. For the most part, the scheme is good. The metallic gold works well on the door numbers, but the stripe, and side logos look a little odd. I do not like that white outline. It’s not needed, and makes the car look cluttered. Black is a really good background color for a race car. The color scheme is good, though I would make the metallic gold a tad lighter, so the white outline can be eliminated. All things considered, it is a really good scheme. Racing fans, myself included, love to collect hero cards, especially at racing events. This is my collection of hero cards. The following three grades are going to fall into a new protocol change effective immediately. When there are multiple schemes that fans can vote for, I will grade all of them individually, and the scheme that wins will be the one used in the final grade of the season. Denny Hamlin #11 FedEx Cares Choice 1 Toyota Camry-I like the overall design, except for the white on the hood. If the white were replaced by blue, it would be a much better scheme. But it’s not horrible, so I give it a B+. Denny Hamlin #11 FedEx Cares Choice 3 Toyota Camry-With this scheme, not even a great color scheme can save it from an F. The wave design is giving me motion sickness. Kyle Busch #18 Interstate Batteries Dale Jarrett Throwback Toyota Camry-Nothing will earn an A+ grade quicker than a great throwback, and this is a great throwback! Carl Edwards #19 Arris Surfboard Toyota Camry-Much simpler design for Arris, and the color scheme is great too. I give it an A+. Paul Menard #27 Menard’s/Knauf Chevy SS-The new template is an improvement on the design, but in a D- to D sense. If you have to have black lines separating colors, that may be a hint that you are using too many light colors. The blue is awful, and doesn’t work well with the yellow at all. 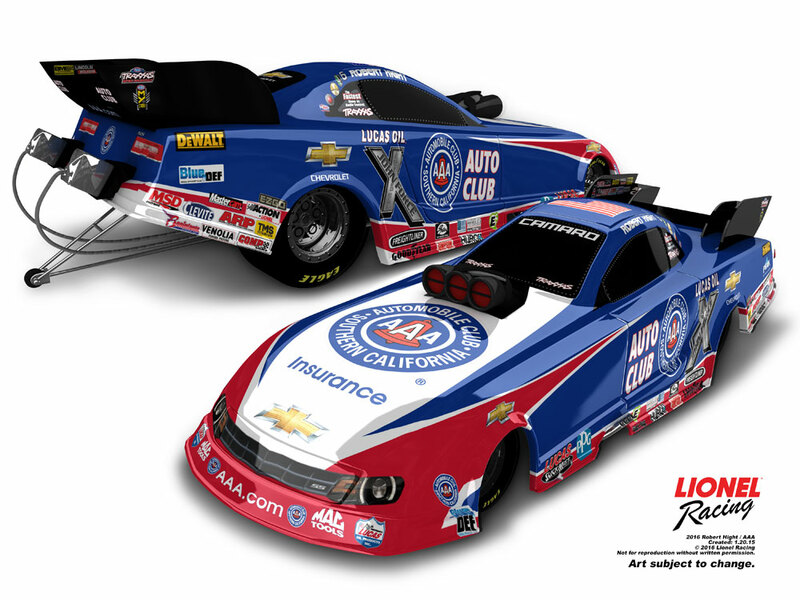 AJ Allmendinger #47 Unwharrie Bank Chevy SS-Green and red are acceptable at Christmas time, but not on the side of a race car. The design itself isn’t bad, but it could be better. The scheme is mediocre at best, so I’ll give it a C+. AJ Allmendinger #47 Harris Teeter Chevy SS-Same basic scheme as Kroger’s, same A+ grade. Reed Sorenson #55 World Record Striper Company Chevy SS-It’s a bold look, but the river water-esque fade and the giant bass works quite well, and it has a unique look. It earns an A+. Kyle Busch #75 M&M’s Throwback Toyota Camry-The vintage look is a great idea, and the anniversary number is good too. It earns an A+. 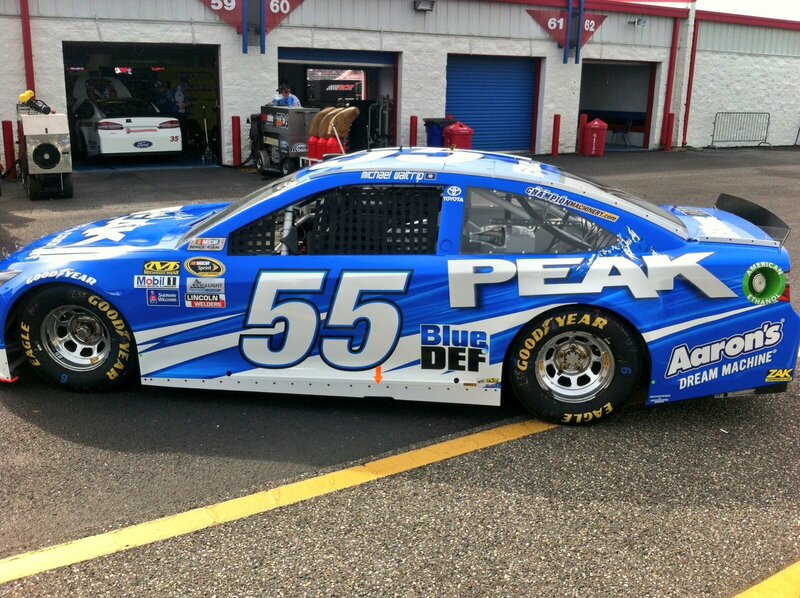 Cole Whitt #98 Vydrox Plus Chevy SS-Same scheme as last year, same A grade. 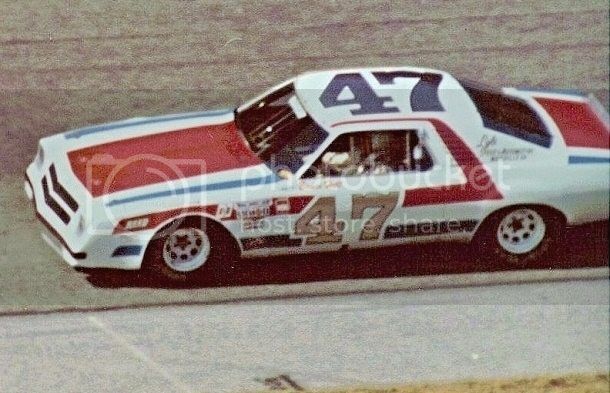 Mike Alexander getting ready to run in his 1990 Raybestos Buick. The red on this car looks odd. It’s a bit to light to be red, but too dark to be pink. The scheme as a whole looks good, but I can’t get past that shade of red. 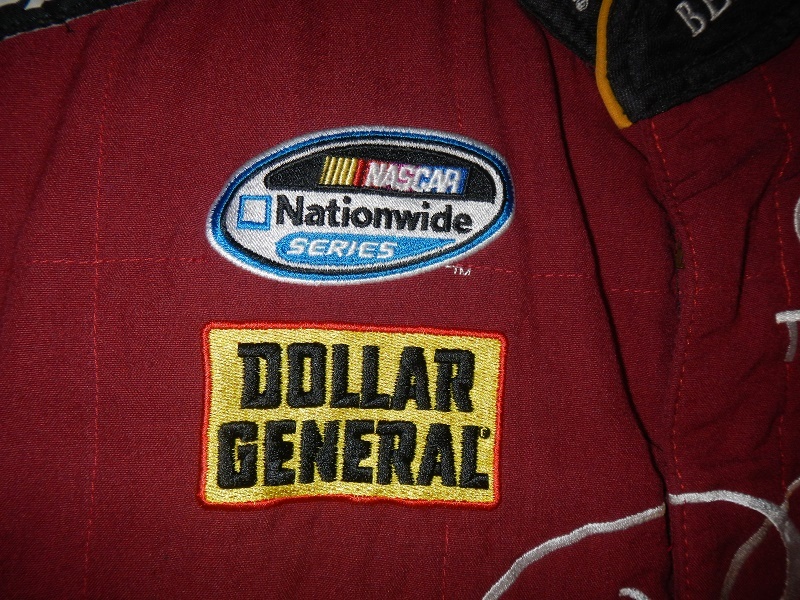 Also, I hate that black outline on the door numbers, and I think they would look better without it. I’m also wondering what is going on with the silver on the headlights going down the side. It doesn’t look bad, it looks odd though. Like I said, it’s a good scheme, but it just has a few oddities.